Digital Scanning: How do I position the foot? You are here: Home / Digital Scanning: But how am I supposed to position the foot? / News / Digital Scanning: But how am I supposed to position the foot? The Sulcus Stick is just one of a number of options available to correctly position the patient’s foot when capturing data using digital scanning technologies. At Firefly, we have been promoting the capture of patient foot data digitally for many years. We’ve tested and reviewed many scanning solutions from the Delcam iQube flat-bed scanner to ScientiFeet’s hand-help impression device but, to date, the iPad and Structure Sensor combination are forging ahead as podiatrists digital foot capture technologies of choice. 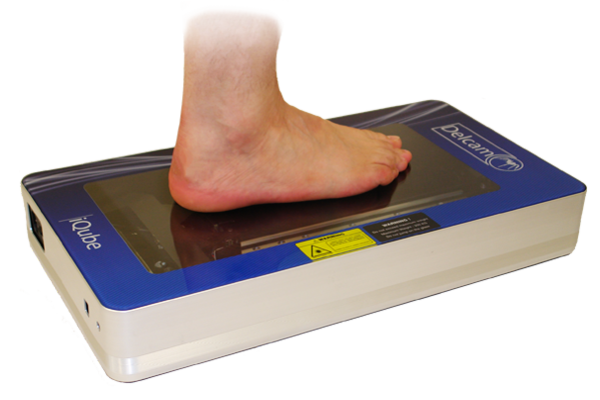 As greater numbers of podiatrists adopt scanning technology to capture patient foot data, one question consistently comes to the fore; how do I correctly position the foot when scanning with the iPad and Structure Sensor? The preference for UK and Irish podiatrists, when casting using plaster of Paris (POP), is to position the patient prone, while the foot is in a non-weight bearing, neutral suspension position. As both hands are required to hold the iPad and Structure Sensor during the scanning process, an assistant is often needed to capture the scan while the podiatrist holds the patient’s foot in the corrected non-weight baring position. For some, this is a significant barrier to using the iPad in clinic, particularly for podiatrists who work remotely or those who may not have the luxury of additional clinic staff to capture the scan. In some circumstances, if the podiatrist is experienced enough, and if the patient is so disposed, the patient can be directed to hold the corrected foot pose independently for the short duration of the scanning process. Positioning solutions crop up within the orthotic industry regularly. Companies such as Northwest Orthotics Laboratory’s and KLM have brought products such as Smart Scan or ScanBud to market. Both of these options are expensive and not readily available in the UK and Ireland. At Firefly, we felt the problem does not warranted such a high price point. all metatarsal heads should be on the same plain. Enter the low cost and simple to use Sulcus Stick. This nifty little device allows the the podiatrist to capture patient foot data without a (human) assistant. The Sulcus Stick lets the podiatrist position the the patient’s foot in neutral then take the scan using the iPad and Structure Sensor. 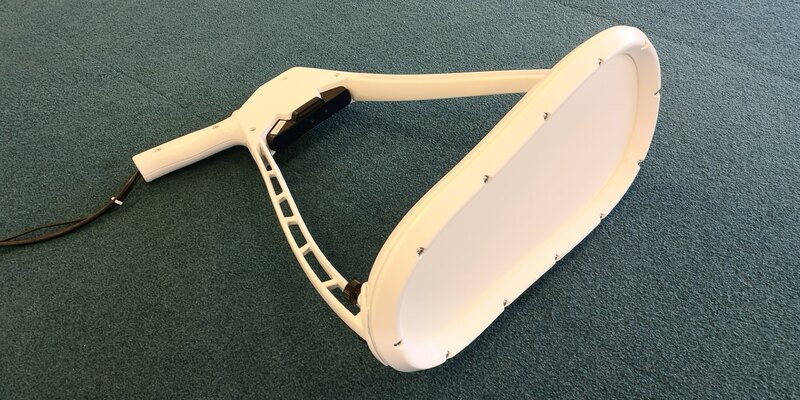 At Firefly, we have started to use the Sulcus Stick in our clinics and following the early trial period, we have successfully captured quality digital scans that have been processed for the manufacture of high-quality custom made orthoses. Firefly will be demonstrating the Sulcus Stick at the this year’s College of Podiatry Annual Conference in Bournemouth. Drop by the Firefly stand and ask about the scanning assistant solution. Firefly Christmas Holiday Order Deadline Tickets for Firefly’s London MSK Workshop are Live!